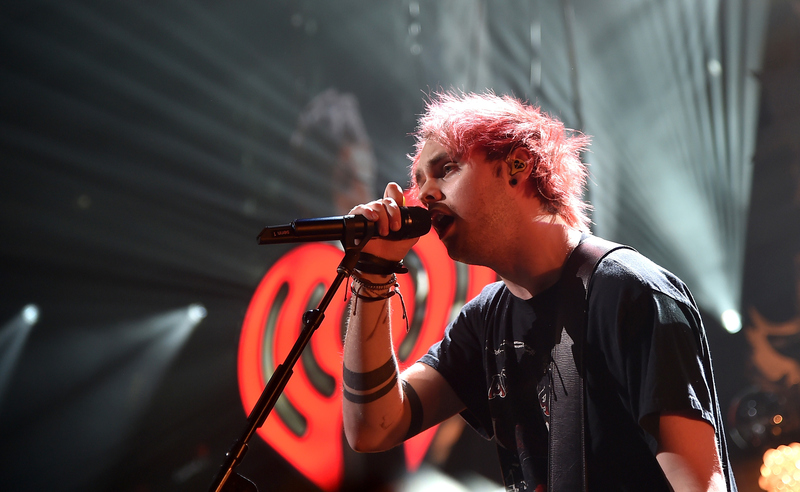 It's no secret that 2015 has been somewhat of a difficult year for 5 Seconds of Summer guitarist Michael Clifford. Despite the band's enormous career success — or perhaps because of it — mental health issues do not discriminate, and the 20-year-old has openly struggled with his mental health this year, speaking candidly to fans about seeing a therapist and telling Rolling Stone that he has problems with "self-esteem, loneliness, and a bit of depression." In fact, it was 5SOS' controversial Rolling Stone profile in which the musician revealed the extent of his struggle, explaining that he almost peaced out in the middle of the band's promo tour: "I said, 'I'm going home, I'm done ... I'm going into hiding for, like, a month or two." He added, "I've been sad as hell lately." It is this type of genuine honesty and this clear insight into the guitarist's mental health issues that make Clifford's 2016 New Year's resolution all the more inspirational. In the week before the AMAs, Clifford got upset when a skit with late-night host James Corden went south. In the sketch, Corden played the fictional fifth member of 5SOS, who comically lashed out after he was kicked out of the group. But at the taping, the band kept stepping on Corden's lines, and the host got annoyed. His jokes at the band's expense seemed to get harsher, and he singled out Clifford: "I can find a d*ckhead with red hair seven days a week! You think you're the first guy to dye your hair and be in a band? You're like a cliché of every sh*t musician." But by knowing your own self-worth and having even the smallest voice of self-contentment in your head, people can say what they want — and you'll know differently. Even the attempt to have that type of confidence is extremely admirable, which is why Clifford's resolution is such a powerful, powerful thing. And I certainly hope that 2016 is a year in which he achieves his goal.